You will be collected from your Adelaide hotel at 7am this morning for your private 3 day Kangaroo Isla nd 4WD Safari. We drive south to Cape Jervis where we catch the ferry to Kangaroo Island, an unspoiled island wilderness with over 500km’s of coastline, an interesting maritime history and a variety of wildlife including sea-lions, fur seals, koalas, platypus and of course, kangaroos. It’s the 3rd largest island in Australia and a third of the island is protected as National Park and Conservation Park. The ferry crosses the Backstairs Passage, arriving in Penneshaw approximately 45 minutes later. We head west and after lunch, you'll take a ranger led tour at Seal Bay Conservation Park, home to the 3rd largest colony of the rare Australian Sea-lion with a population of around 1000. We are privileged to be able to take a walking tour along the beach, where we can watch them resting, playing and nursing their pups. We travel further west now, and after a stop at beautiful Vivonne Bay, we continue to Kellys Hill Caves, one of the few dry limestone cave systems in Australia. Here you'll take a tour through the impressive caves, walking amidst ornate cave formations and discovering how the caves and the spectacular decorations are formed. Our final stop for the day is at the Hanson Bay Sanctuary, where we stroll along an avenue of shady Eucalyptus trees called “Koala Walk”. This the best place on the island to see Koalas in their natural habitat. Overnight accommodation of your choice on the western side of the island. We'll explore Flinders Chase National Park this morning, which takes up a large po rtion of the western side of the island and is home to the elusive platypus, koalas and a host of other wildlife. The park features 74,000 hectares (200,000 acres) of natural bush land and spectacular rock formations, such as Admiral's Arch and Remarkable Rocks, which are wind-sculpted rock formations that sit atop a smooth granite dome. New Zealand fur-seals breed at Cape du Couedic and we can watch their antics from the boardwalk at Admirals Arch. After a picnic lunch we head to the north of the island and out to Stokes Bay, where a walk through the cliffs reveals a beautiful white sandy beach with a lovely rockpool. Depending on time and your preference, we can take the north coast road to Emu Bay or visit Island Pure Sheep Diary. on the way to Kingscote. Once we reach Kingscote, we take a look around the wharf and hopefully spot some pelicans. Optional pelican feeding (approx. $5 pp extra) is at the wharf nightly at 5pm. Overnight accommodation of your choice in Kingscote. Departing Kingscote this morning, you have a few choices for our first stop- Island beehive, Emu Ridge Eucalyptus distillery, KI Lavender farm or you can climb Prospect Hill for views of Pennington Bay. We continue to the Dudley Pennsular and out to Cape Willoughby on the far eastern side of the island and offering fabulous 360-degree views of the rugged coastline and the ever-changing seas of Backstairs Passage. Cape Willoughby Lighthouse was the first lighthouse built in South Australia and here we take a ranger led tour, where we can walk to the top of the lighthouse and hear stories about living and working in such a harsh environment. After lunch we make our way back into Penneshaw where we'll catch the ferry at 2.30pm. Arriving back on the mainland 45 minutes later, we now head north again towards Adelaide, with a stop en-route for some wine tasting in McLaren Vale. We arrive back at your accommodation in Adelaide at approximately 6pm. 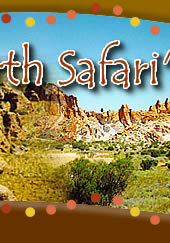 This Kangaroo Island safari is only operated as a private charter (sole use of vehicle and driver guide), year round. Please enquire for prices and further details. 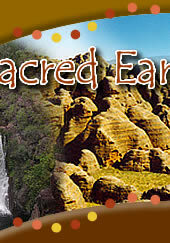 Itinerary is exclusive to Sacred Earth Safaris and is subject to availability. 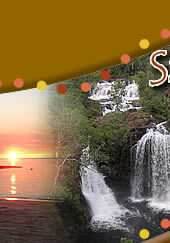 This itinerary is just a guide to what we can offer. We can tailor your itinerary to suit your interests and preferences so please contact us if you would like us to design you an itinerary. Other options for Kangaroo Island touring Murray Lagoon (largest lagoon on the island), Parndana Wildlife Park, Pauls Place Wildlife Sanctuary, Cliffords Honey Farm, take a cruise and swim with the dolphins, Raptor Domain Birds of Prey Show, Cape Borda Lighthouse, various wineries and multiple northern beaches.